"Over My Summer Vacation, I Helped Cure Cancer"
The Foundation’s award-winning Educational Scholarship Program (ESP) offers college and high school students a chance to participate in world-class scientific research. The program’s goal is to stimulate students’ interest in a career in science, technology, medicine, or biomedical engineering. In the unique summer internship, outstanding students work in the Foundation’s state-of-the-art laboratories doing cancer research alongside PhD-level scientists. ESP students take an active part in high profile research projects. The work is challenging and students have significant responsibilities. 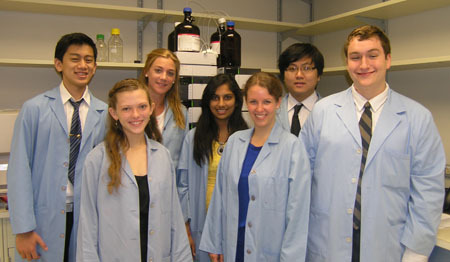 Stehlin interns may contribute to a pioneering cancer treatment, or help develop new formulations of anticancer drugs. The contributions of several students to important research projects have earned them citations in articles published in prestigious scientific journals. Interns are paid for their work, with the understanding that the funds be used to help defray educational expenses. Acceptance into the program is very competitive: on average, seven students are selected annually, often from more than 100 applicants. Like the Foundation’s permanent scientific staff, ESP students are diverse in age, cultural background and ethnicity, and gender. Visit the program’s Eligibility and Guidelines page for more information. Participants have come to the program from such prestigious universities as Alabama, Baylor, Boston College, Brown, De Paul, Duke, Emory, Harvard, Hollins College, Houston, Justus Liebig (Germany), Loyola, LSU, McGill (Canada), Northwestern, Notre Dame, Oklahoma, Princeton, Rhodes College, Rice, SMU, St. Thomas, Technical-Berlin (Germany), TCU, Texas, Texas A&M, Texas Tech, Trinity, Tulane, UCLA, USC, and Washington. ESP high school interns have represented a number of Houston-area schools including Bellaire, Clear Creek, Clements, Cypress Fairbanks, Cypress Falls, DeBakey High School for Health Professions, Dulles, Kinkaid, Kempner, Kingwood, Lamar, Memorial, St. Agnes, St. John’s, St. Thomas, South Houston, Spring Woods, Strake Jesuit, Stratford, Westbury, and Yates. 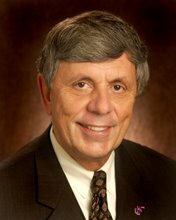 Beginning in 2011, two ESP interns each year are designated “Royer Scholars.” CHRISTUS Health permanently endowed these scholarships to honor the valued service of its former CEO Dr. Tom Royer and his wife Jane. If you would like to encourage the next generation of dedicated physicians and scientists in the fight against cancer, visit the Foundation’s online donation page or contact the Development Office (713-659-1336) about full scholarships and program naming opportunities.